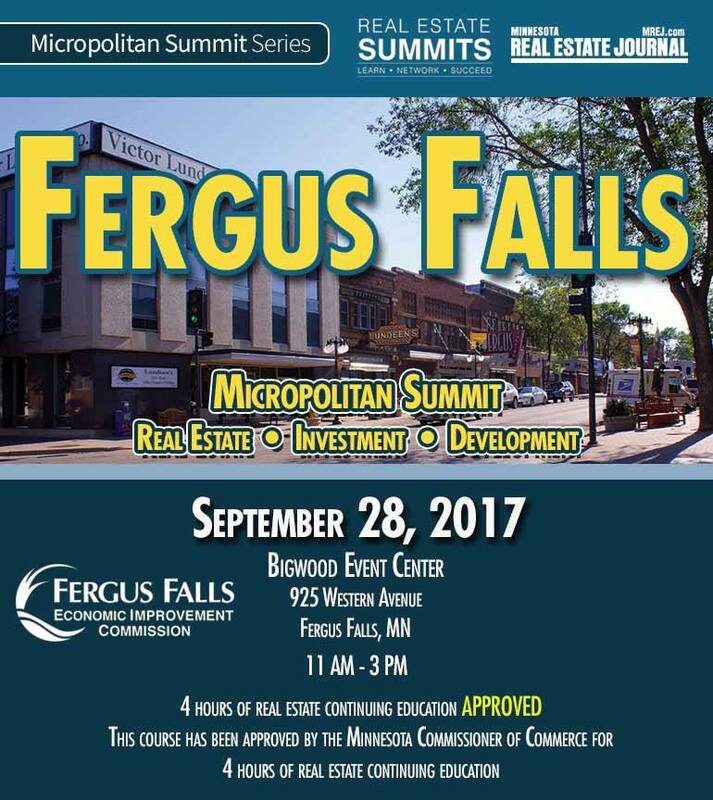 We are excited to announce that our very own Ryan Hanson will be representing area Realtors and speaking at the Fergus Falls Micropolitan Summit September 28th from 11-3 at the Bigwood Event Center on the current market in residential real estate. Other topics at the summit will also include the Fergus Falls area state of the market, downtown and riverfront opportunities, commercial real estate and industrial development and opportunities. For more details or to register for the event, go to: http://www.cvent.com/events/fergus-falls-micropolitan-summit-in-fergus-falls/event-summary-7e8f4aaa53e44e248faeeb0ebd6e0171.aspx.